Minnesota is home to some of the worst opportunity gaps in the nation. Despite having a state funding formula designed to send more money to districts with students living in poverty, it’s not working for far too many students. These students still do not receive an equitable education. 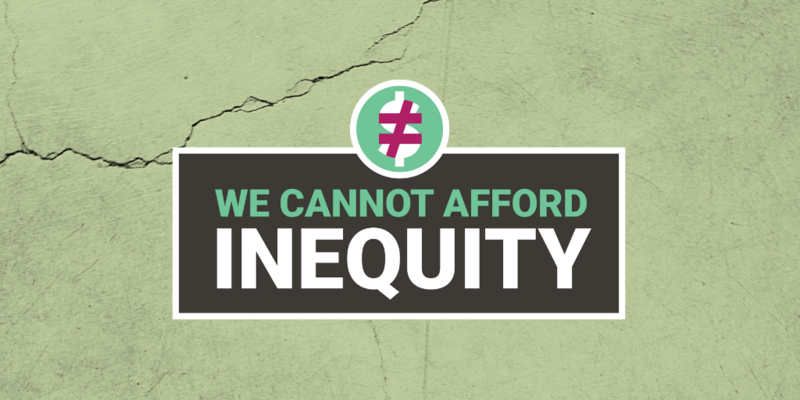 We cannot afford inequity. Standing together in partnership this past Thursday, a group of educators who believe this must change launched campaigns in Minneapolis and St. Paul to address the inequitable distribution of resources and funding in our schools. Please invest 2 minutes of your time right now by adding your name to stand with us for more equitable funding and resources for all Minnesota students. As educators, we have a front-row seat to the impact inequity has on our students. That’s why it was no surprise that E4E-Minnesota members selected equitable school funding and resources as the most urgent issue impacting their classrooms and professions. With looming budget deficits and growing student needs, we must come together and take action now. Our students cannot afford to wait years for the resources they need today. Add your name right now to stand with us for equitable access to high-quality teachers and equity within our district budgets!